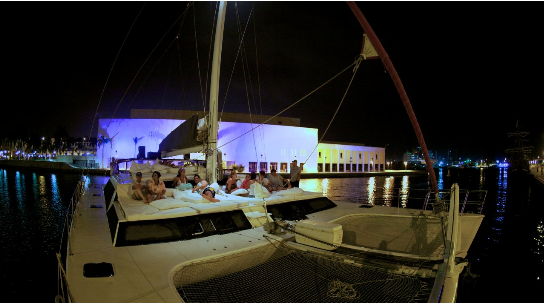 THIS SAILBOAT IS IDEAL FOR EVENTS IN THE BAY OF CARTAGENA, ROSARIO ISLANDS AND CHOLON. IT CAN ADJUST FOR SAILING WITH LARGE GROUPS, CORPORATE EVENTS, OR PARTIES. IT COUNTS WITH A LARGE INTERNAL SALOON AND EXTERNAL EQUIPMENTS FOR PARTIES. CONTACT US FOR MORE INFORMATION AND QUOTES IN ORDER TO TAILOR FOR YOUR NEEDS.